Blyth Spartans AFC had a victorious season winning the Northern Premier League and went on to win the Senior Cup. Blyth Spartans Juniors have followed in their footsteps with our Under 15’s winning the NEYD CUP against Ashington and our Under 17’s winning the League Challenge Shield against Red House Farm. Well Done to all teams . 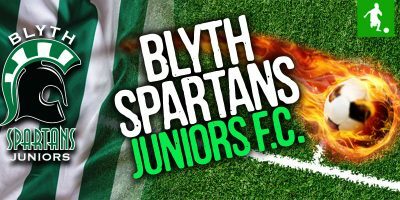 Blyth Spartans Juniors have 3 teams in Cup Finals!